Dill seed has a long history of use as a digestive, evidenced by the fact that the 8th century emperor, Charlemagne, regularly doled out portions of dill seed to be chewed by banquet attendees to stave off hiccups and digestive upsets. Aside from this benefit, dill seed is a flavorful addition to many foods and is essential in turning cucumbers into pickles. appearance & aroma Small, rounded seeds with a pleasant fragrance. culinary Use to flavor soups, stews, breads and rolls, cabbage, carrots, potatoes and beans, especially lentils. aromatic Add the seeds to herbal potpourri mixtures. Pair with dill weed in soups, stews and braised foods. 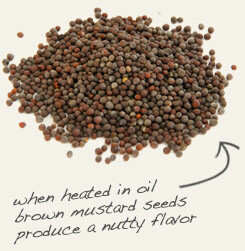 Combine with mustard seed in pickling spice blends. Comparable to caraway in flavor and aroma. Dill seed is the fruit of the herb of the same name, also known as garden dill. The seeds are collected late in the season, usually by cutting the flower stalks and placing them upside down in a paper bag for the seeds to fall into as the foliage dries and shrinks. 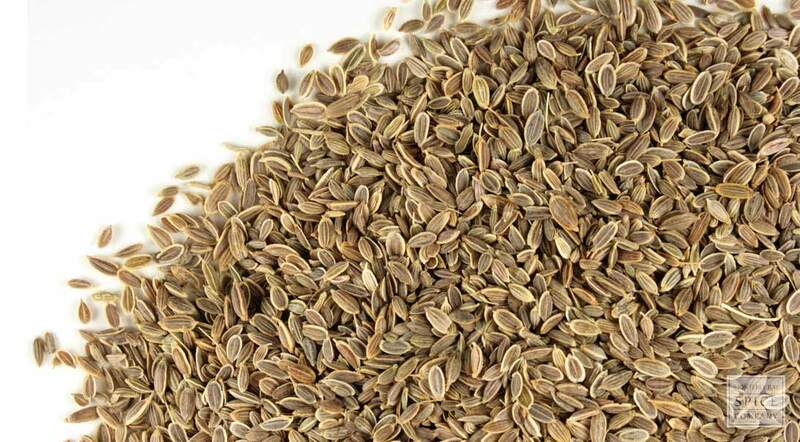 Dill seed is highly fragrant, bearing an aroma and flavor somewhat similar to the seed of its cousin, caraway. 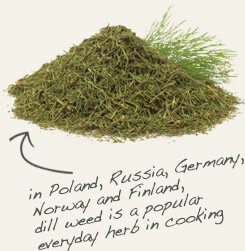 In Europe, dill is commonly used to make gripe water to counter gastronomic distress in infants. The seed is also a popular addition to herbal pillows crafted with the hope of inducing sleep. In the New World, colonial children were given dill seed to nosh on to curb loud hunger pangs while in church, a practice that earned dill seed the nickname meetinghouse seed.